The Washington Redskins need a quarterback — badly. With starter Alex Smith out for the year with a broken leg, and highly-anticipated second-string quarterback Colt McCoy also out for the season with a leg injury, the Redskins are getting desperate. Mark Sanchez, who was just signed to the team despite not having played a snap since 2016, looked decent. But the team needs another quarterback. 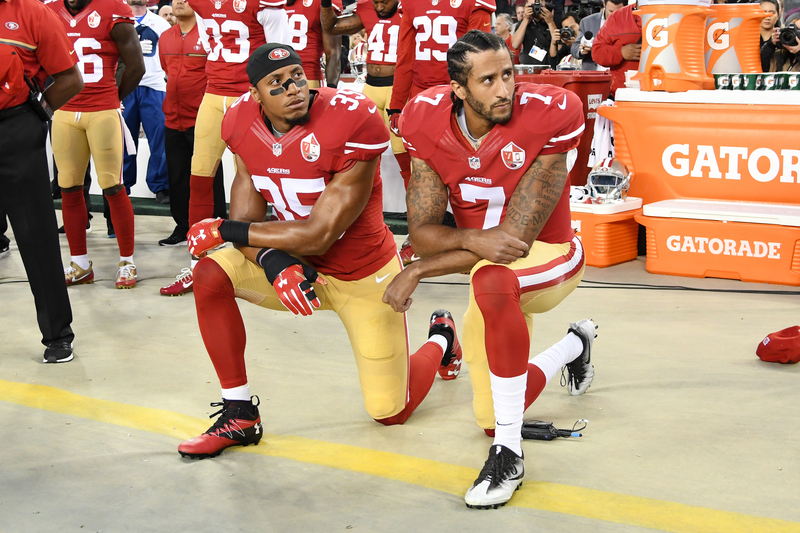 But when asked whether he was considering Colin Kaepernick for the job, Redskins head coach Jay Gruden evaded the question as best as possible, saying he gave Kaepernick a lot of thought but may ultimately “go in a different direction,” not because of his politics, but because they need a quarterback, like, yesterday. Redskins’ HC Jay Gruden said Colin Kaepernick was discussed to bolster the team’s depleted quarterbacking ranks, but said “we’ll probably go in a different direction” because of the compressed time frame and the need to get someone ready quickly. Whether or not this is actually the case, the Redskins are definitely in a bind. They’re down to their third-string quarterback and the NFC East is still anybody’s conference at this point. They need to make something happen, and quickly.